Bethel said he learned a lot from his fellow judges, including that a judge should "never be under the illusion you are special." “We do this every week,” Gov. 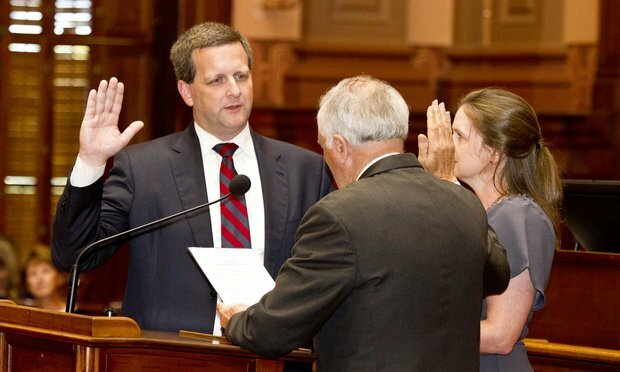 Nathan Deal joked Tuesday as he opened a ceremony during which Judge Charlie Bethel of the state Court of Appeals took the oath to become a state Supreme Court justice. During an hourlong argument in Flowers v. Mississippi, justices from across the spectrum expressed displeasure at the handling of Curtis Flowers' six trials for the same crime. The pro bono lawyers representing Ryan Duke, accused of killing Tara Grinstead, have asked the state Supreme Court to step in after a trial judge turned down their requests to have the state or Irwin County fund expert witnesses for the April 1 trial. "If your case involves easily misunderstood facts, an issue of first impression, a conflict in the law or what I like to call a 'reasonable minds on the fence case,' oral argument can definitely be of benefit."